Growing muscles is a process where number of factors are to be taken into consideration for example Diet, Exercises, Proper Sleep and many more. But exercise and diet are the ones which mostly influence the way your body would take shape. The fact remains that every- body is different and therefore one needs to work on their own set of exercises suited to their own body. What exercises may work for others may not work for you. The following are few tips on how to grow muscles depending on the type of body you have. Every man is distinguished into three body types. Working out and eating according to your body type maximises your effort to grow muscles and also it is a lot safer and proves to be healthy in the long run. Ectomorph: These are the body types where they have short upper body and long arms and legs, little fat, narrow, thin long muscles. The main area where Ectomorphs need to work are on building on Body mass rather than toning it. In order to gain the mass the ectomorphs need to multiply the calorie intake and consume all the foods which promote mass building. In order to supply the nutrients to body for body building required amount of food should be taken and in case of ectomorphs especially it should more than the normal intake. 16 Oz. Milk, 3 Oz. Corn oil, 5 Oz. water, 15 tbsp. protein powder and 4 eggs. And some other preferable calorie adding ingredients like chocolate chips etc. You can consume these together according to your convenience of cooking. When you have enough body mass to work up on you can start with mass training programme for each body part. Endomorph: This type of body people should concentrate on building on lean mass which includes skeletal muscle, bones and organs. The endomorphs should make sure that they do not consume the foods which would add to their fat mass. Diet: Protein intake should be more than carbs intake. 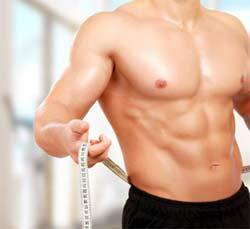 They can adopt the following diet plan to get their lean body mass. The diet involves consumption of foods before and after work out. Training: An endomorph should always try to focus on weight training to cut down storing of fat cells. The exercises which are low on resistance and high repetition exercises should be done. For each exercise 4-5 sets and 10-12 repetitions is ideal. The focus should be a longer duration work outs with lower intensity. The main aim of the work out should be remove the excess fat and retain the muscle and tone it. Mesomorph: These body types are easy gainers of muscle as they are not skinny nor high body fat containing people. Therefore these body types diet plan and work-out regime is more simple and easy when compared to the rest two. Diet: Complex carbohydrates which involve green vegetables, grain foods, low on sugar fruits, regular yogurt with eggs and sea food which promote muscle building are ideal for this type of body. Because mesomorph can gain and lose weight easily you can consume almost any good food. Training: Mesomorphs can try the following exercises for maximum muscle gain. Author Bio: Amy Lawson is a content writer. She is a professional blogger from London and have written many articles on Entertainment, Finance and Health categories. Now she is doing research on ehic card etc.